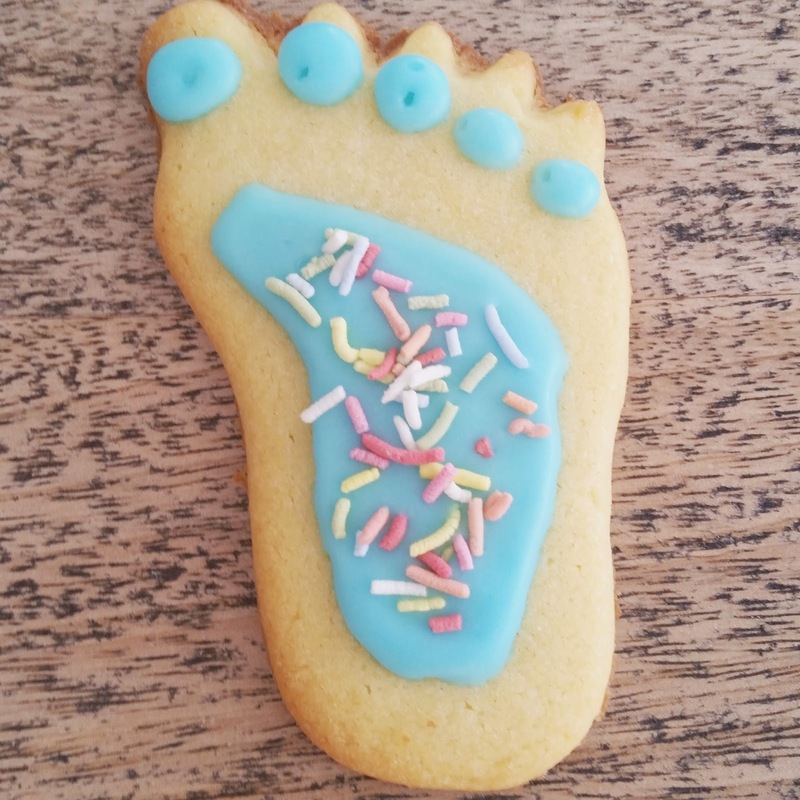 My son took his first steps last week so his very proud mummy made these yummy footprint cookies to celebrate! 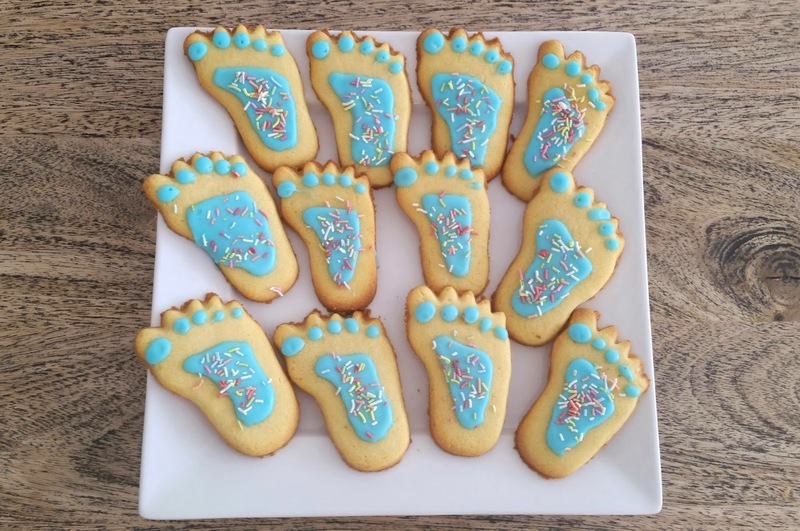 They were so quick and easy, and are perfect for baking with the kids. My recipe will make roughly 15 to 20 medium-sized cookies. Decorate with icing (icing sugar, a little water and food colouring), sprinkles, etc.